Do you want to know how many people have visited your website today, yesterday, last week or month? Where did they come from? How did they find your site? What links did they click, etc.? To analyze traffic to your website you need a good tool. Google Analytics is an excellent FREE tool to analyze almost everything that you want to know about the traffic that comes to your website. Let me help you. This tutorial is for you. I go through the process step-by-step and help you set it up. A Google account. If you have it already, use that one. If you don’t then create one. 1. Go to www.google.com/analytics website. 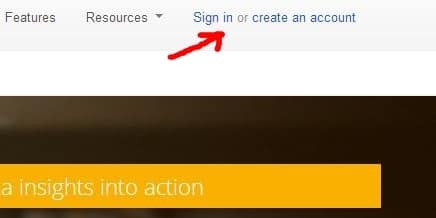 At the right upper corner you find “Sign in” or “Create an account”. Log yourself in. 2. After logging in you are asked to create a new Google Analytics account. 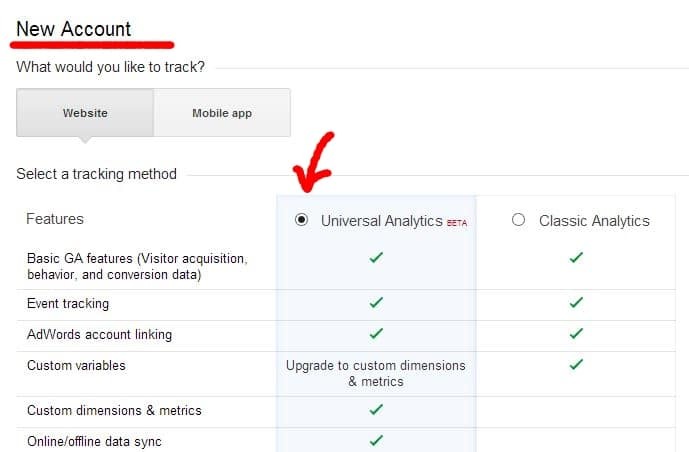 Here you have 2 options: The old, “Classic Analytics” option, and the new “Universal Analytics“, which is still BETA. 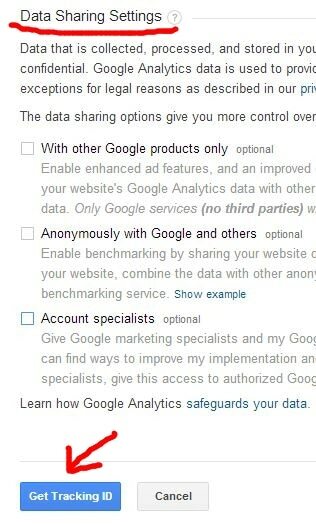 Choose the “Universal Analytics” option. For later use please remember or write it down that your account type is Universal Analytics. It is important because when in the future you want to set up Event tracking, etc then you are asked which Analytics you have. So you know – you have Universal Analytics. Account Name – here you can type your First Name, for example. It’s not important right now and you can change it later anyway. Website Name – For example: If my website is egonsarvreviews.com, then I could write my website name as Honest Way To Make Money Online. Industry Category – here you can choose a category that your website belongs to. Again, it is not so important to give exact match and you can change it anytime. Reporting Time Zone – find your country. 4. After filling the places and scrolling down you find “Data Sharing Settings”. You are asked if you want to share your data. It is up to you to choose. In case you want to share then toggle the checkboxes. If not then leave them empty. I prefer to leave them empty. After that press the “Get tracking ID” button. 6. You have to copy-paste your tracking code into the header of your website. Use your mouse or keyboard to select the whole script (tracking code) and then, using Ctrl-C or “copy”-function, copy it into a clipboard. Later you paste it into your website file. 7. 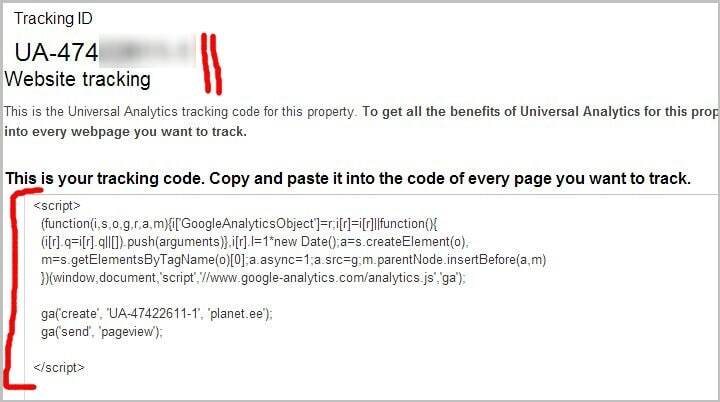 Now you have to paste your tracking code into a right place in your website. 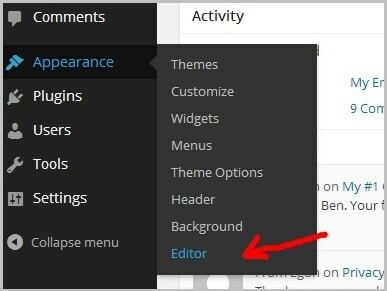 If you have a WordPress website then login to your WordPress account, open your website and select Appearance – > Editor. 8. Once the Editor is opened, you see a Header section at the right side of the page. Click it. 9. Find the HTML tag <head> and using Ctrl-V, paste your tracking code right after the <head> tag. Make sure that you don’t delete or change anything else on the file or you may have fatal errors. 11. Press the “Update File”. 12 .Congrats! 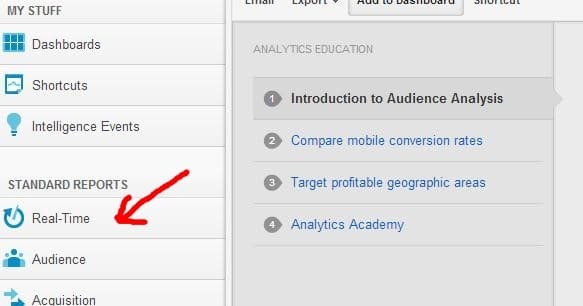 Google Analytics has now set up for your website. You can start analyzing incoming traffic to your website. 13. 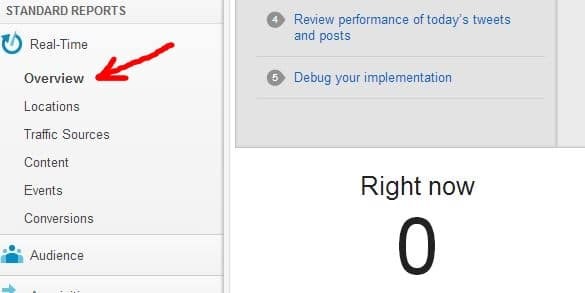 Log into your Google Analytics website again and find a “Real-Time” button from the left side menu. This option allows you to track your traffic in real time. 14. Under “Real-time” open “Overview”. 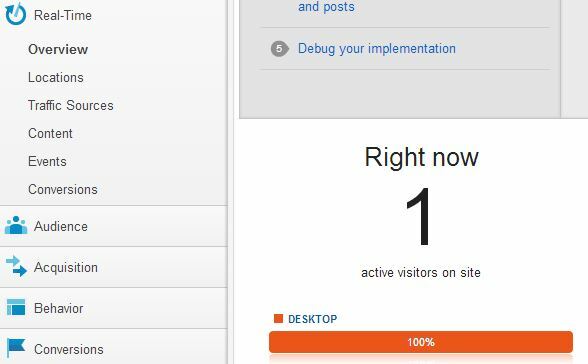 It shows you how many people are visiting your website at the moment. If it is zero, as in this example, then there are no people visiting your site at the moment. 15. You can check your analytics tool right away – open a new browser window and locate to your website. 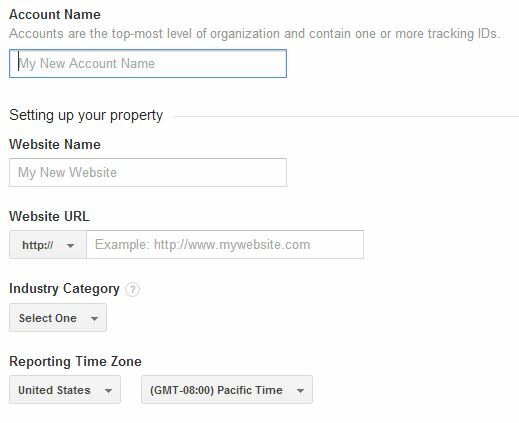 Once your website is opened, Google Analytics Real-Time Overview shows another person on your site. It also tells you where he comes from etc. 16. Play around and introduce yourself with the metrics provided here. You will find quite a few interesting things about your customers. Google Analytics does not show you the previous data. It shows you from the moment that you activated it. 17. Google Analytics is a powerful tool with tons of options and metrics. To use everything efficiently, you have to learn much more. This tutorial was to help you set it up for your website and give you taste in how many ways you can analyze the traffic to your website. Do you have questions or comments about setting up Google Analytics? Feel free to drop a comment below. I would love to hear from you.